HomeDiluting the efficacy of hydrogen peroxide room decontamination? 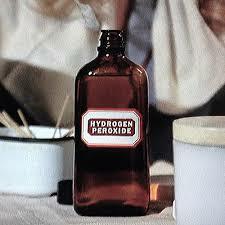 Diluting the efficacy of hydrogen peroxide room decontamination? A somewhat perplexing new study has just been published in the Journal of Hospital Infection comparing the effectiveness of two hydrogen peroxide based automated room decontamination systems: a low-concentration (5%) hydrogen peroxide system (Deprox) and a high-concentration (30%) hydrogen peroxide system (Bioquell). The results of this study come as a big surprise to me. As the authors acknowledge, previous comparative evaluations of a high-concentration (30%) hydrogen peroxide system (Bioquell) with a low-concentration (5%) hydrogen peroxide system (ASP Glosair) by Fu et al., Holmdahl et al. and Beswick et al. have identified stark differences in biocidal capacity between the two systems. For example, Fu et al. found that the low-concentration system achieved a <2-log reduction at the majority of room locations on A. baumannii, and made little impact on MRSA when dried in 3% or 10% BSA. Both Fu et al. and Holmdal et al. found that the low-concentration system was consistently unable to kill 6-log spore biological indicators. Beswick et al. found that the low-concentration hydrogen peroxide system was, I think it’s fair to say, dramatically ineffective against C. difficile spores and Mycobacterium fortuitum. To add to this, I have my own experience to relate. As a follow-up to this study, we performed the same experiments but using 5% hydrogen peroxide rather than 30%. The results were very poor indeed using 5% hydrogen peroxide, with limited log reductions achieve on the pathogens studied, which included MRSA, A. baumannii and C. difficile spores. (This work was never published and I now wish that it was!) Finally, a couple of studies evaluate the in-use efficacy of Deprox for addressing surface contamination, (including one from UCLH) identifying a similar level of contamination with C. difficile after the use of Deprox and other low-concentration hydrogen peroxide systems. I don’t want to labour the point, but I do want to make the point that this study is out on a limb in terms of the relative efficacy of low- vs. high-concentration hydrogen peroxide room decon systems. Furthermore, there are reams of published data demonstrating a “dose-response” relationship between biocidal activity and the concentration of hydrogen peroxide. So, that is going on here that could explain this apparent discrepancy? Could systematic laboratory error be the culprit? Prof Wilson’s lab in London is reputable and expert, so I think we can discount this one. This is the first published study on the laboratory capacity of the Deprox system (the other studies have been done on the ASP Glosair system). ASP Glosair and Deprox use a very similar active agent (5% hydrogen peroxide with a dash of silver) but deliver the hydrogen peroxide in a different way (pressure aersol for ASP Glosair vs a fine liquid spray produced using the Venturi effect for Deprox). But this difference seems unlikely to alter the biological efficacy of the system (although may improve the distribution). Could room size play a factor? The studies by Fu et al. and Holmdahl et al. were performed in comparatively large rooms, although the study by Beswick et al. was performed in a small room, so this doesn’t seem to be the critical factor. Could Deprox include other “secret” ingredients in the mixture? A dash of peracetic acid in the mixture would certain explain the vastly improved biological efficacy reported, but there is no mention of anything other than the usual cartridge being used. Could subtle differences in the way the laboratory indicators were prepared be the crucial factor? This is probably the most plausible explanation. The performance of a laboratory-prepared indicator is a function of microbial concentration (i.e. inoculum), suspending medium, substrate, and the type of microbe. It’s quite a complicated scenario and fairly small differences in any of these four variables can affect quite markedly the apparent efficacy of the system being tested. This calls for standardization of lab procedures when putting these sorts of systems to the test. There is a European testing standard based on NF72-281 (a French testing standard) specifically designed for chemical automated room disinfection systems slowly making its way through Brussels bureaucracy, which will help matters in terms of standardization. The paper also raises some other interesting points for discussion. The turnaround time for the two systems was similar (around 2-2.5 hours). Once again, this is different from previous studies (both Fu et al. and Holmdahl et al.) that found, somewhat couterintuitively, that the high-concentration hydrogen peroxide system has a shorter turnaround time than the low-concentration hydrogen peroxide system. This is because the high-concentration hydrogen peroxide system has a catalytic converter to actively breakdown the hydrogen peroxide after the cycle. I understand that the Deprox system does have a catalytic converter whereas ASP Glosair does not, which could explain this to a degree, but important to note that the paper does not specify that the levels of hydrogen peroxide were measured at the end of the cycle. The authors describe both systems as ‘hydrogen peroxide vapour (HPV)’. Whilst it is clear that the Bioquell system produces a heat-generated vapour, the jury is very much out on whether the fine liquid spray generated by the Deprox system qualifies as a vapour. I accept that there are arguments either way on this point, and it may come down to semantics, so perhaps it is best to focus on the concentration of hydrogen peroxide involved in describing the systems? Direct comparisons of this kind are vital to understand the relative capacity of automated room decontamination systems, and I look forward to further studies to understand the efficacy of low- and high-concentration hydrogen peroxide systems in particular.